Promoting healthy eating, ecology and natural health! 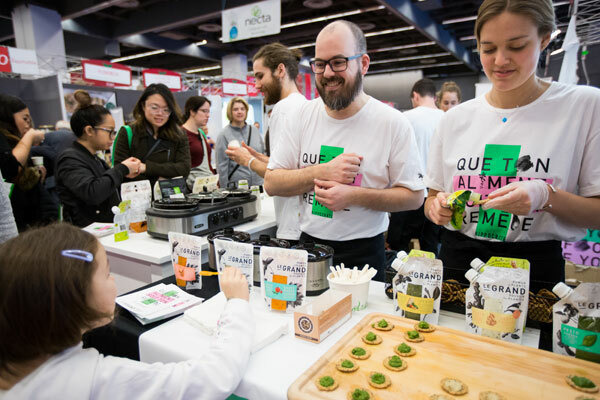 The mission of the Expo Manger Santé et Vivre Vert is to increase awareness about the importance of our eating habits and lifestyles in regards to our health and the environment. 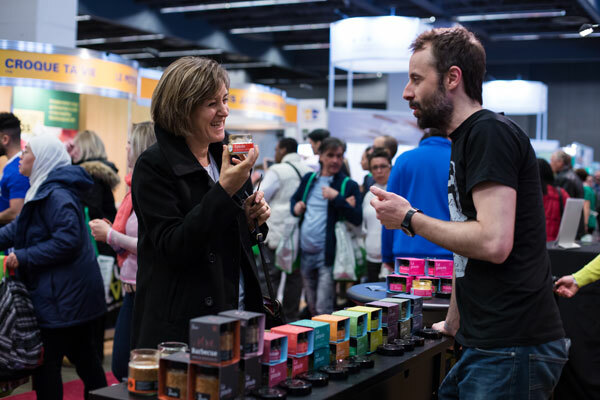 We host a large number of exhibitors from the fields of healthy eating, organic agriculture, ecology, cosmetics, fitness as well as therapeutic products and services. Healthy inspirations for mind and body! 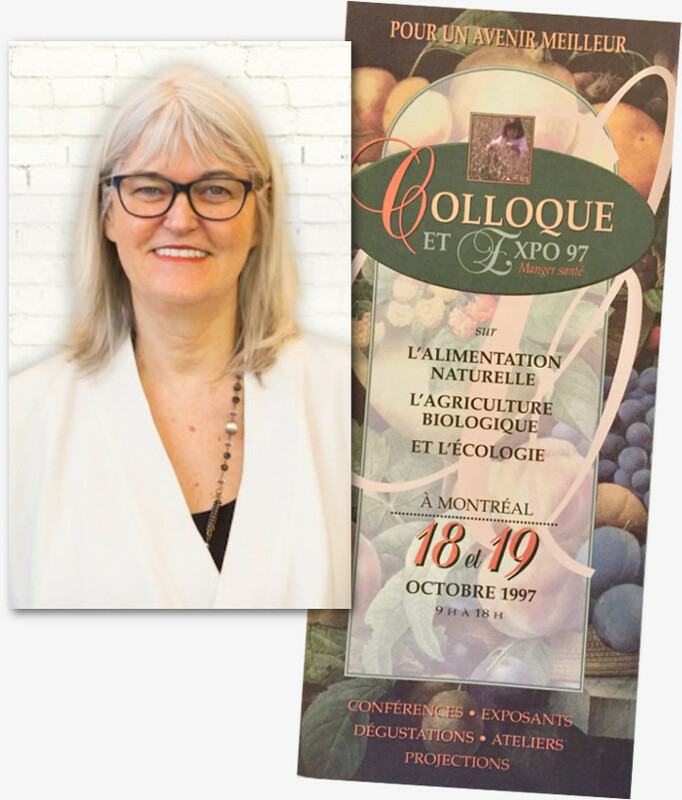 In the fall of 1997, Renée Frappier, author and professor of healthy and natural food, initiates this great meeting between the craftsmen of the health and the population. Since then, Expo Manger Health and Green Living returns each year for our greatest pleasure. This event continues to grow and delight exhibitors and visitors alike. From 90 exhibitors, we welcome this year more than 350 companies. Quality is at the rendezvous. We are waiting for you in Montreal for a 22nd edition, in Quebec City for the 19th year and surprise, we will also be in Sherbrooke for the first time! 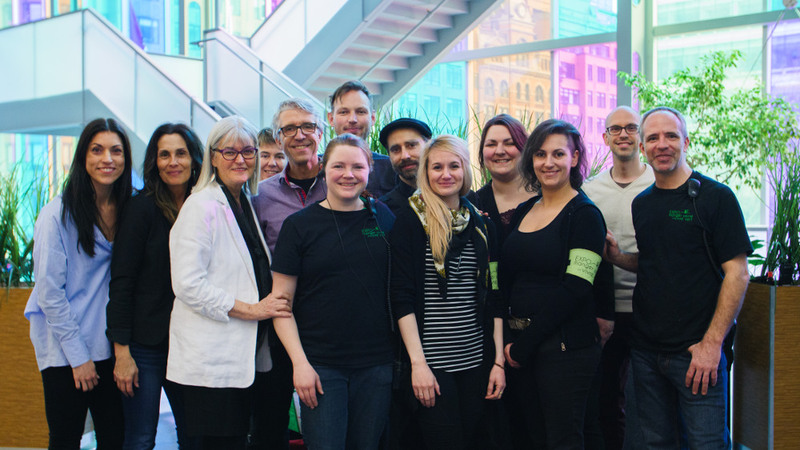 Here is the team at the heart of the Expo — this festive and inspiring event that we strive to create for you year after year! From start to finish, several other people also collaborate with the core team to create a successful large-scale event. Our partners, our exhibitors and our visitors form a winning combination for this springtime health gathering. 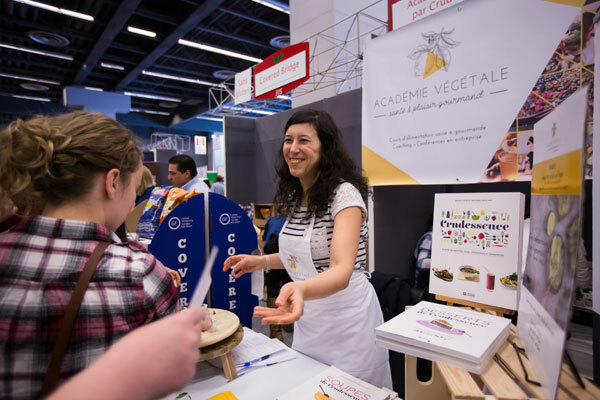 The Expo Manger Santé et Vivre Vert has been supporting the Association Manger Santé Bio from its very beginning! Since 1985, the Association promotes healthy eating habits that are increasingly organic, veg-based, local and ethical. Their web site and popular newsletter (French only) are appreciated references featuring information and recipes.